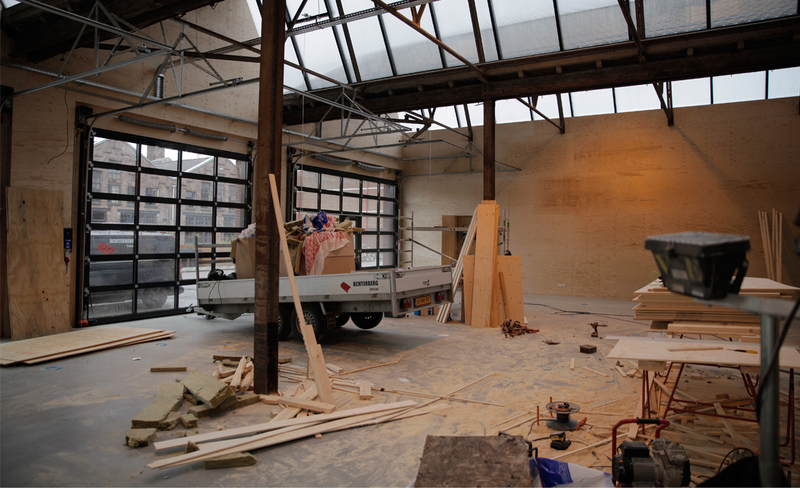 In the past months we’ve been busy designing and overseeing the transformation on our new office space. 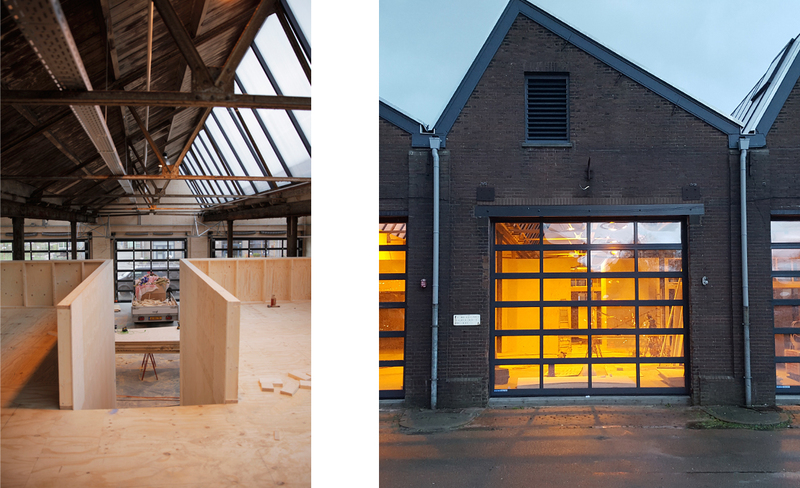 Starting 2018 we will be located in a warehouse of the former municipal wharf of Hilversum. In the past century the warehouse has been a place for all imaginable uses, from factory warehouse to salt storage to garage. Our main goal for the transformation, was to optimally make use of the inherit qualities of the space: the generous space with its high saw-tooth roof, large windows and garage doors. The intervention is about creating an inspiring workplace. A studio designed for the collective design process. We wanted a new studio that is a personal and inviting place for innovation colleagues and visitors alike can feel at home. 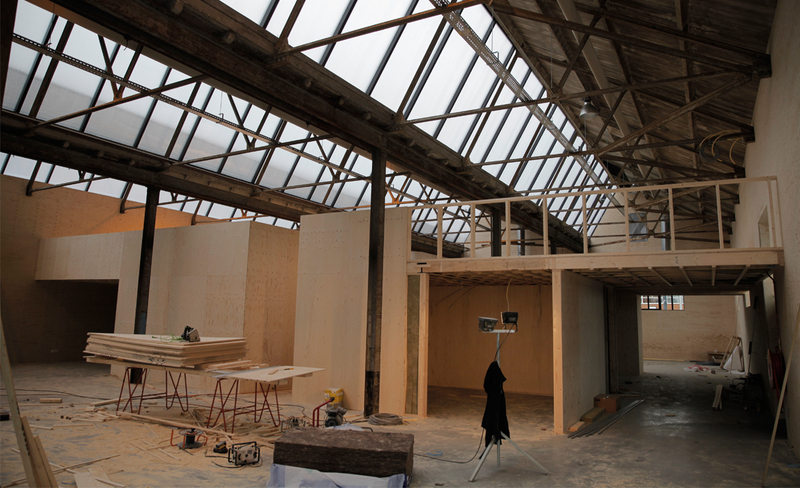 Our new workspace will be a laboratory for constant activity, research and development. Robust, light and beautiful. A place where together we can generate new ideas and organize various events and processes based on the daily dynamics of the office life. The meeting rooms, kitchen and technical spaces are all combined in a compact volume with workspaces on top. The positioning of this volume in the warehouse defines new spaces of various sizes and orientation and different uses. According to need and time of day the space organizes itself and becomes an atelier, living room, workspace, auditorium or expo space.